These are just a few things I’ve made recently. Thought I’d share. Can’t wait till my husband comes home from Afghanistan in two weeks and actually gets to spend some time at home in Kansas City once in a while so I can have someone to share all this deliciousness with! 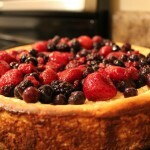 New York Cheesecake with Mixed Berries – This I made for a colleague at work who did an excellent job on a logo project and mockups for a website I manage. He’s a very talented designer and Kansas City photographer and you should all check out his work. 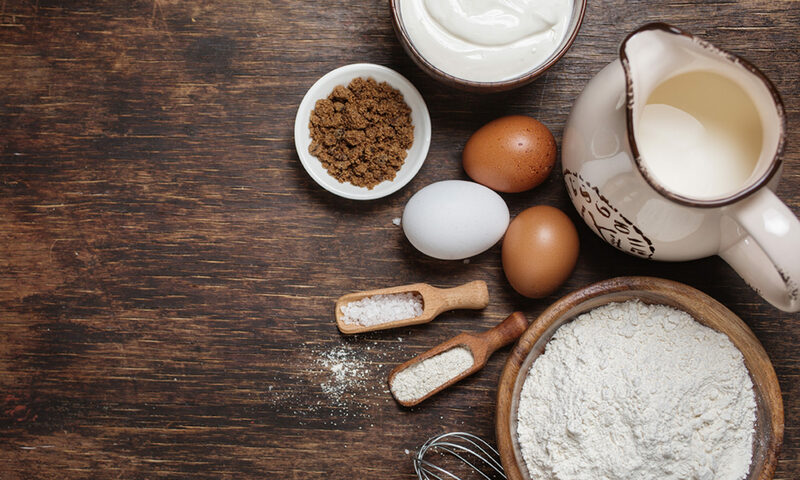 He and his team are very deserving of this delicious cheesecake. 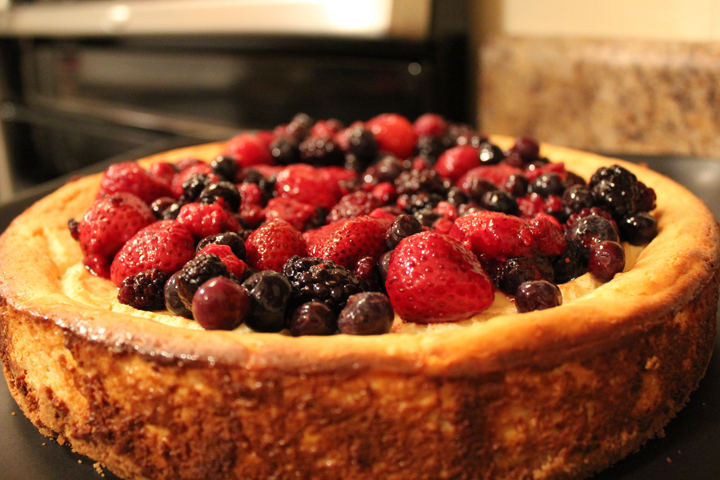 The cheesecake is the same as my Raspberry Thin Mint Cheesecake recipe, just using a graham cracker crust and topping with mixed berries instead of raspberry sauce. 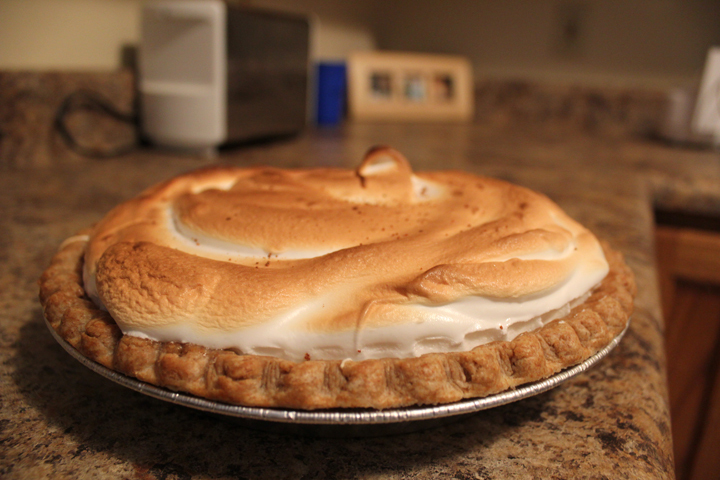 Lemon Meringue Pie – This was made for my brother’s birthday. 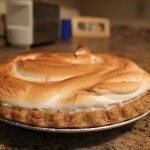 It is from my mother-in-law’s Debutant Lemon Meringue Pie recipe. I did not make the crust due to time limitations, but I was really pleased with the outcome. It helps to have someone travel with you when you’re transporting it though so it doesn’t slide around on the floor of your car in a cake carrier! (Oops.) Was still every bit as delicious as it looks. 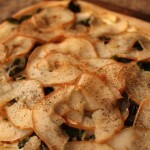 Goat Cheese, Swiss Chard and Pear Pizza – I got the organic Swiss chard and organic pears from KC Door to Door Organics, and was ecstatic when I found a way to use them together. This recipe came from their site and the whole wheat crust came from the frozen section in Whole Foods, and I couldn’t be more pleased with the outcome. 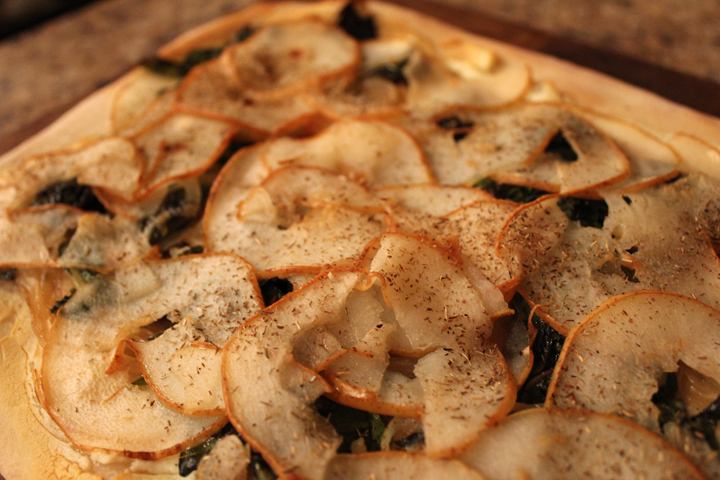 I did double all the toppings on the same amount of crust, and used a mandolin to slice my pears instead of doing matchsticks, though. I’ll get 4 meals out of this! 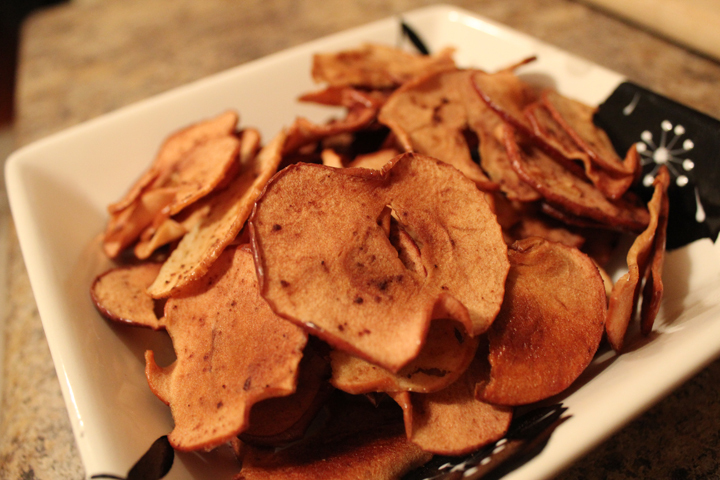 Baked Apple Chips – I made these baked apple chips using three apples I got in my KC Door to Door Organics box this week. I followed this recipe and added some cinnamon and cloves. They are ridiculously sweet and flavorful, and looking back I’ll probably skip the cloves next time and just stick to cinnamon. Cloves are wonderful, but so incredibly overpowering. It’s easy to cross the line and I think I did a bit. Nothing a good glass of milk can’t fix. 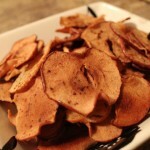 These baked apple chips are so crisp and flavorful and a wonderful mostly-healthy snack.